Epic stories like The Passage do not come along every year. This could have easily been split up into 2 or 3 books but Cronin is giving readers their money's worth in this fast-paced, deep, horror/sci-fi/apocalyptic novel. The night-walkers in this tale do not sparkle in the sun. They have razor sharp teeth and the ungodly desire to spread their infection. 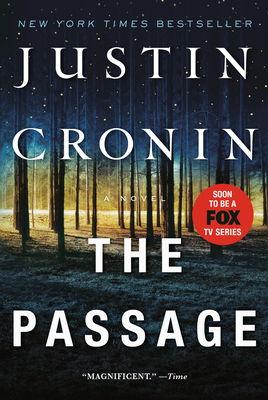 Justin Cronin has the literary skills of Cormac McCarthy and can write a fantasy as engrossing as Stephen King. A Hudson Booksellers Best Book of 2010.